One January afternoon I was on the telephone with my neighbor, Barbara. During the conversation she mentioned that she joined a photo club. My interest piqued. You see, I write a Yosemite hiking blog and though a novice, enjoy taking photos during the hikes to add to the blog (see califraven.wordpress.com). After she told me about the club, we said our goodbyes and I hung up the phone, intrigued. 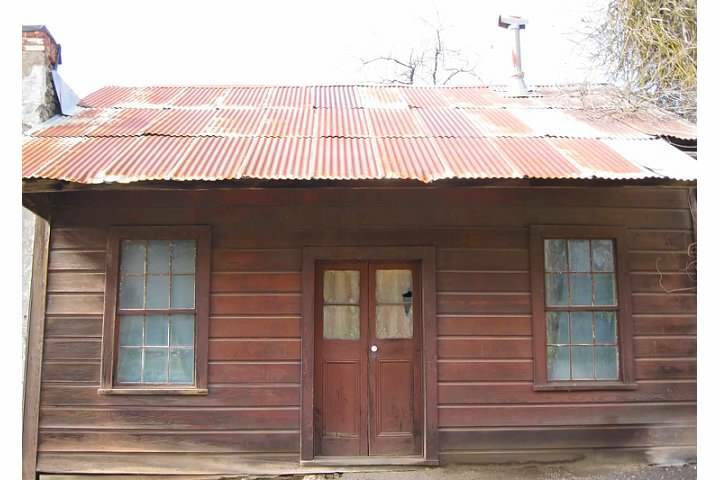 The Mrs. E. Trabucco Store located in Bear Valley, CA. This building was reconstructed after a fire in 1897. The store continued operating until 1912. Fast forward several weeks and I am now a member of the Mariposa Photo Club. Luckily they accept amateurs with limited skill levels (that would be me) who use beginner cameras, such as my shiny red point-and-shoot Canon. 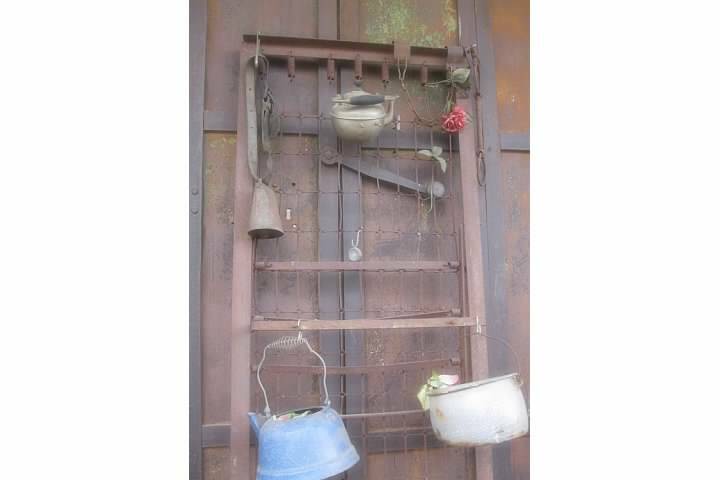 A rusty mattress spring decorated with hanging objects leans against a door of the Trabucco Store. Each month we are assigned to photograph a particular subject, or perhaps to use a certain technique. 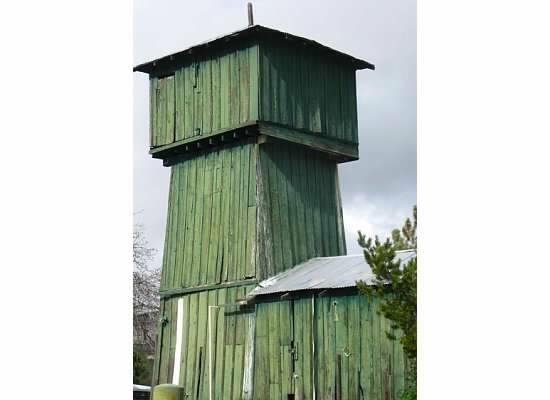 This month’s assignment was to photograph Historic Mariposa County, the photos you see posted here. 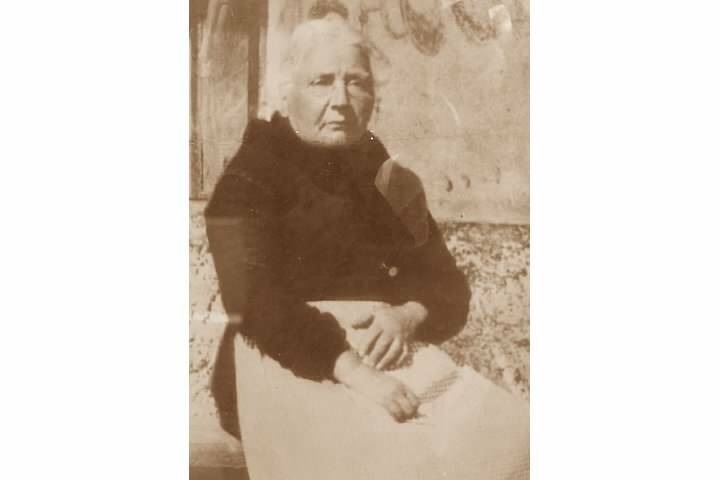 Mrs. Elena Lambruschini Trabucco. 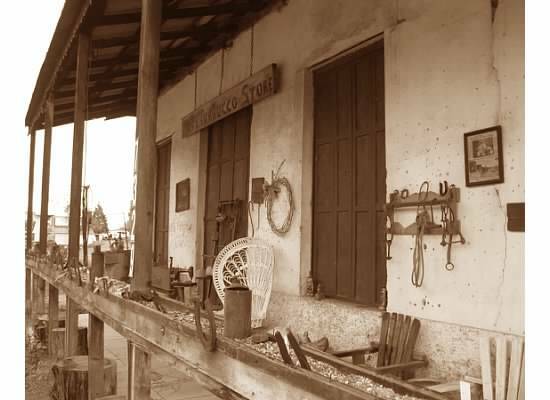 This is a photograph of a photograph that was posted outside the Trabucco store. Though it was a cold and cloudy day with limited sunshine, Barbara and I trekked through the county locating many things of historical interest. It was a chance to see the county in a different light–so to speak, and to get to know my neighbor a little better. 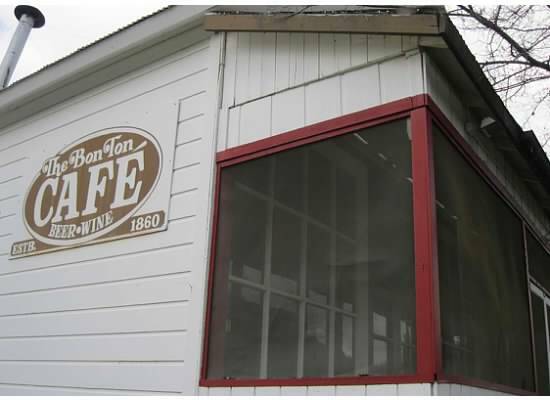 At its peak, Bear Valley had a large number of businesses including The Bon Ton Café, established in 1860 as a saloon. This colorful water tower sits behind the Bon Ton Café. Those who read my hiking blog know that I am infatuated with wildflowers. As we walked back to the car, I spied these little beauties growing in the grass. Even though they aren’t historical, I couldn’t help but add the photo. I was unsure of what these flowers are, but reader Anna identified them as grape hyacinth. We departed Bear Valley and drove the winding, bumpy, abandoned back road to Hornitos, population 75. There we met a local woman named Mary Ann cleaning Stagg Hall which accommodates more than the inhabitants of the town, 105. Inside a roofless rock building, looking out the old metal doors. Mary Ann walked us to the abbreviated Main Street and pointed at several old buildings (all of them) then explained their history. The old post office shown here sits next to a livery building. 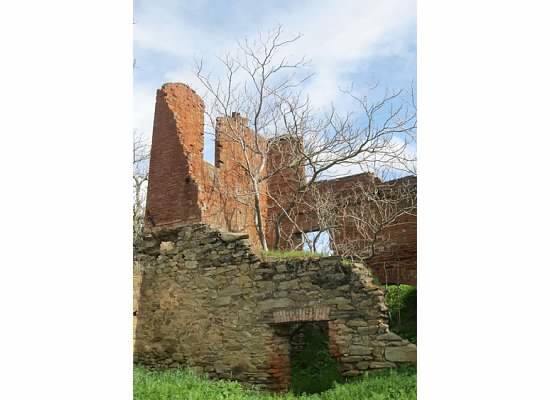 She may have thrown in a tall tale or two for entertainment value, such as bandit Joaquin Murrieta running through an underground tunnel to the livery for a quick getaway. Legend says of this dilapidated Ghiradelli building, that chocolate was made here; but the Ghiradelli family says no it wasn’t. We returned to the car and drove up the hill dead ending at St. Catherine’s Catholic church and cemetery. 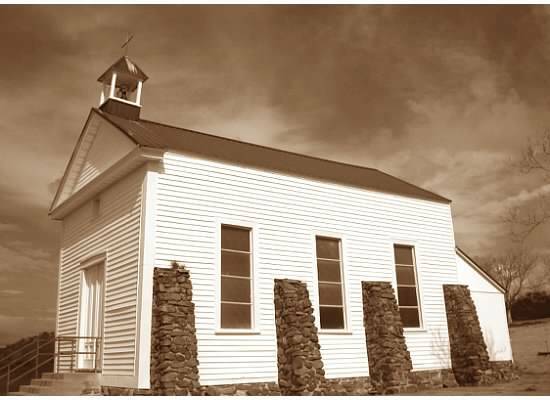 The church was built in 1862 and Mass is said there once or twice a year. I have had the privilege of being lector during Mass in this tiny church on All Saints Day. St. Catherine of Siena Mission. A Mission of the Roman Catholic Diocese of Fresno, CA. The stone buttresses help hold the walls in place. Since it was too cold for a picnic, Barbara and I sat in the car next to the church and ate our bag lunches. On the way back to Mariposa, it began to rain ending our first photographic adventure. This entry was tagged Bear Valley, Ghirardelli building, Hornitos, Mariposa Photo Club, St. Catherine's Catholic Church, The Bon Ton Cafe, Trabucco Store. Bookmark the permalink. Loved reading your new blog and seeing all the history captured in your pictures. I’m Looking forward to following you here. Hi Janet, loved the blog! Looking forward to reading more. Always wanted to do this myself. Now I can thru you Janet . Hope to follow your blog. Thanks. 🙂 Have you been in this area? Interesting subject and great photos! 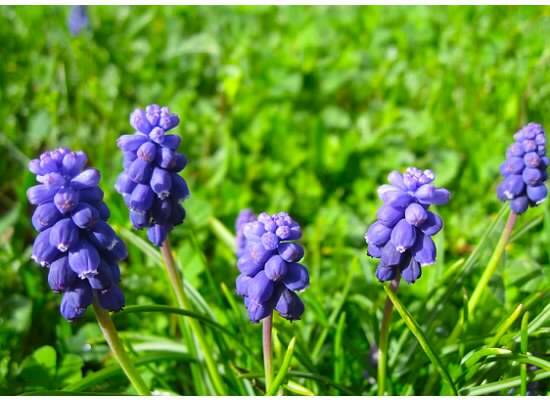 The flowers look familiar…maybe grape hyacinths? Thank you, Michelle. The Ghirardelli family didn’t deny selling chocolate in Hornitos, only making it there. According to Mary Ann, if chocolate had been made in that building, then the building would have been preserved. Oh, Janet, I so enjoyed your photographs and historical comments ! You are so multitalented! I especially enjoyed the green building and don’t remember ever seeing it there. 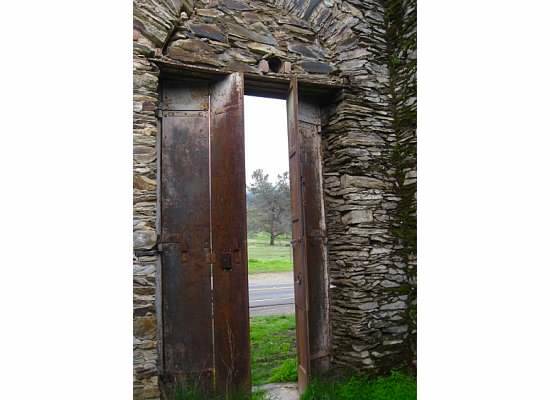 I also liked the roofless building with open metal doors. You sure have an artistic eye!! Sheelah, thank you for your nice comments. I think the two photos you mentioned are my favorites too. Thanks, Nikki. Click “Follow” on the blog and you will receive future posts.